Light in the Water chronicles the birth and life of West Hollywood Aquatics, the first openly gay masters swim team. From the team's founding to train for the inaugural Gay Olympic Games in 1982, through AIDS epidemic, to the wedding of two members after marriage equality passed, the team is another lens through which to study LGBTQ history in America. 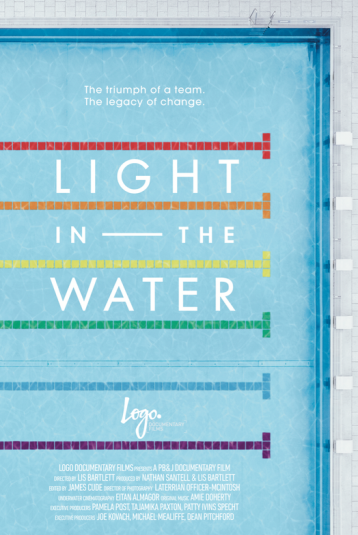 Through archival footage and intimate interviews with members of the team, some of whom are record setting swimmers, Light in the Water celebrates athletes that happen to be gay. Constantly returning to the theme of water, the movie examines how both joy and sorrow strengthened the team in ways that neither could do alone.